Next Tuesday, June 9 is the Longmeadow Annual Town Elections. 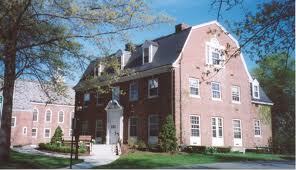 Polling hours are from 8 am - 8 pm at the Longmeadow Community House. Longmeadow Community Television (LCTV) has created a series of interviews of the three candidates running for the two open seats on the Longmeadow School Committee. These one-on-one interviews hosted by Arlene Miller provide profiles of one new candidate who has not run previously for elected office in our town as well as the two incumbent candidates. The following was submitted by Katie Girard who is running for re-election to the Longmeadow School Committee. I am running for re election because I feel that my work on the School Committee is far from finished. My goals for the School Committee are driven by keeping our eyes on the child. As we approach the end of this strategic plan, I look forward to shaping the next one by being an active partner in its development to broaden the educational opportunities for our students, give students choice and voice in their educations so that they may find and nurture their unique passions. We need greater collaboration between our schools and the greater Longmeadow community. People of all ages support the of mission the school committee and we must ensure we support them. In my next term I want to champion collaboration with everyone in our community-- not just the ones who have children in school. That's why I'm working to establish more collaboration between the schools and the community by creating more opportunities for partnerships not only between boards, but with our senior community, Longmeadow Transitions, and the Historical Society just to name a few. We have a responsibility to our students and to members of the community to be fiscally responsible while providing an excellent education to all students. While my central focus is the student, this does not mean that I have tunnel vision. Finally, I want to continue to ensure all students receive exceptional educations. Longmeadow Community Television (LCTV) has created a series of interviews of the four candidates running for the two open seats on the Longmeadow Select Board. 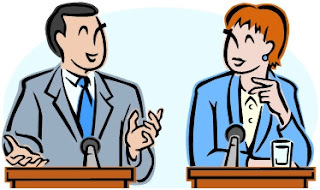 These one-on-one interviews hosted by Arlene Miller provide profiles of the two new candidates who have not run previously for elected office in our town as well as the two incumbent candidates. The following LTE was submitted by Paul Santaniello- candidate for re-election to the Longmeadow Select Board. I am happy to announce my candidacy for re-election to the Longmeadow Select Board. I would like to thank the residents for their continued confidence in me. I would also like to thank my family, my wife Dorothy, and children Gia, Nina, and Joey, for their understanding of late night meetings and my belief, that to be on the Select Board is a full time commitment and requires more than an every other week meeting. While there has been a lot accomplished during my time on the Select Board, I believe there is more that can be done. This year for example, after attending the Massachusetts Municipal Conference, I brought back the idea of leasing large capital equipment for our DPW, when it makes sense versus buying. We will be leasing one of our largest dump trucks which will save the Town $144,000 in the next Fiscal Year. A year ago, the Town of Longmeadow went to arbitration with MGM over the negative impacts to our community and we won our case. Under the direction of the Select Board, we fought together to protect our town from what we knew were the negative impacts to Longmeadow. We stood firm when other towns were settling for less than their citizens deserved. I believe we did what was best for Longmeadow. At an upcoming Select Board meeting, the Finance Subcommittee, which I am a member of, will be recommending a Capital Spending Plan that will allow the Town to address our capital needs and also plan for larger projects to be developed in a more predictable and practical manner. I voted for property tax relief for homeowners this year. I will continue to fight to control unnecessary spending and strive to keep owning a home and living in Longmeadow, an affordable option for all residents, especially seniors on fixed income. We are in discussions currently to potentially purchase our street lights which could result in the Town saving substantial amounts of money going forward. This will help alleviate the pressure on rising costs in Town. This would not have happened without the persistence of the Select Board. I, we, are all blessed to live in such a wonderful community. I don’t believe in the “Chicken Little” mentality that the sky is falling on Longmeadow. I do believe however, that the Select Board should look at every opportunity to reduce costs and increase income from non-tax based options. One goal if re-elected is to seek out these opportunities in a more aggressive manner. I moved to Longmeadow over twenty eight years ago because I wanted to live in this great community, to raise my family here, and contribute to the ideal that Longmeadow is, for all of us. My perspective on the Select Board is that we need to preserve that quality of life, enhance it where we can, and do our best to ensure our residents can afford to stay here in retirement if they choose. In those twenty eight years, I’ve been blessed to have coached youth football, soccer (boys and girls), baseball, and basketball. I have been a past President of the Center School PTO and LHS PAC, a member of the Center School Council, and former member of the School Committee and Finance Committee. I continue to attend other Boards and Committee meetings regularly so I can better understand the issues before them. I humbly ask for your vote for re-election on June 9th. The following LTE was submitted to the LongmeadowBuzz blog by Jeffrey Klotz- a candidate for Longmeadow Select Board. As a relative new comer to Longmeadow, the question I most often get asked is “Why do you feel that you are qualified to serve on the Town’s Selectboard?” So let’s start there. Shortly after moving to Town, to fill some of the time I have between obligations to my family as a stay at home dad, I sought out a volunteer opportunity with which I could help the Town leveraging both my education (I’m a Certified Public Accountant, with a Masters in Business Administration), and work experience (9 years at higher levels within a municipal government with a $2+ billion dollar operating budget). There was an opening on the Town’s Audit Committee. I interviewed, was appointed, rolled up my sleeves, and got to work. Quickly I studied the Town’s prior financial statements, budgets, and governing laws. I was surprised to learn many things. First, it struck me as odd that the Town had employed for over 20 years the same auditor. It is common after so many years to change auditors simply to obtain a fresh perspective on the activities of any Town. Second, it struck me as odd that the School Committee and Administration acted to hire it’s own legal council to fight for operational independence against my interpretation of the Town Charter. 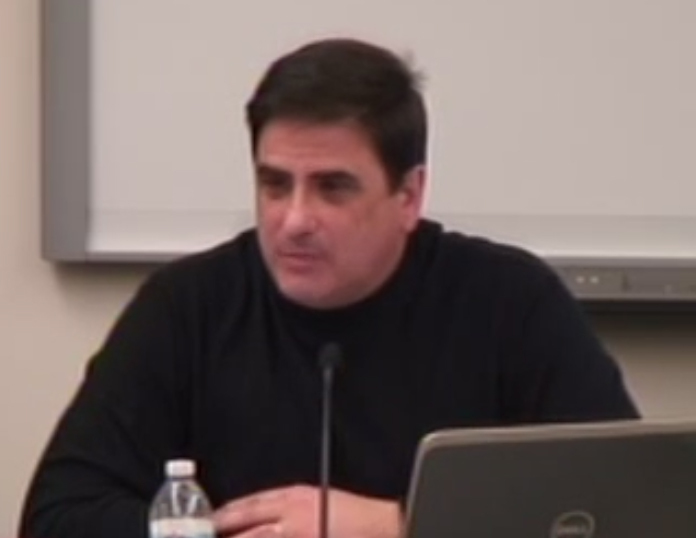 The School Committee and Administration currently controls over half of the Town’s budget, yet the Town’s Finance Director has no Human Resource or disciplinary authority with which to control spending, or internal controls, which has led to year after year of financial malfeasance by the School Administration. This has clearly been reported by the Town’s auditors in the Town’s audit report. Finally, I found it odd that the Select Board spends much of its public time arguing with the Town Manager over minutia. As a member of the Audit Committee I have argued for and made progress on points one and two. Starting next year we start a new contract with a new auditor, and instead of the employing the same reports that have been used for the last twenty years, the Town is starting down a path of enhanced reporting that will bring easier digestion of key metrics with trends. Secondly, as the Audit Committee has purview of internal controls, the Audit Committee will be specifically looking at the School System’s controls in detail both at operational, custodial, and budgetary levels. I am proud of these achievements. But as my wife and I have decided to make this our forever home, and we have two children yet to enter kindergarten, I’m not ready to rest on my laurels. I believe the School System to be managerially top-heavy, and if elected, will pursue a course through the budget process that mandates the School System justify their salary and employee levels against regional peers. It is my hope that these cost savings can contribute to the Town affording both full-day kindergarten and enhanced services for the developmentally challenged. I believe that our Town needs to expand it’s efforts toward regionalistic cost sharing. There are assets in the Town that we need not own individually, and can share with other local municipalities, and services, such as educating the developmentally challenged mentioned above, where economies of scale should provide cost savings. Additionally, I believe that our Recreation Department should no longer subsidize programs. For many years in a row the Recreation Department’s management has failed to operate within budget. Our Town’s recreation department programing should be fee-based, much like all the programming at our Town’s Senior Center. If there is interest sufficient to support a program, let’s run it. But if not, there are plenty of private firms providing the same services. Our Town needs to expand our tax base. I support exploring development of some of our athletic and park land, the implementation of a Semi-trailer permit to offset the damage they do to our roads going to and from the highway, and the implementation of fee-based short-term overnight permitted street parking (not during snow emergencies). In this brief space, one can only say so much. I implore you to look for and watch the LCTV candidate interviews which should start airing June 3rd on channel 12. 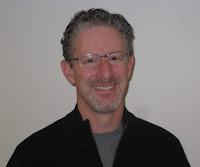 To learn more about me specifically, go to my website, www.jeffreyklotz.com. There I have contact information, both online, and direct. Our current Select Board spends too much time arguing with the Town Manager, and not enough time thinking critically about where we are, how we got here, and how we are going to fix this mess. I ask you on June 9th to vote for me. Mnemonically, my name can be remembered at the voting booth with the following tag line: Vote for new blood. Vote for Klotz. The following information was submitted by Michelle Grodsky- a candidate for re-election to the Longmeadow School Committee on Tuesday, June 9. I would like to formally announce my campaign for re-election to the Longmeadow School Committee. Throughout my current term, I have worked hard to ensure fairness, thoughtfulness, and transparency were part of every discussion, every process, and every decision. I believe every parent and every child should have a voice in our decisions, and have used my position as a School Committee member to represent them when they are unable to speak themselves. I have been a part of many decisions this past year, and have always stressed the need for long-term planning and collaboration. Longmeadow faces many fiscal decisions in the near future. I believe our town’s elected officials and leaders need to work together to discuss these upcoming plans as a team so that we can move forward in a way that represents the best interests of everyone in our community. Throughout my adult life, I have dedicated my professional and personal time to education. I believe in the value, strength, and potential of the public school system. Most importantly, I understand the complexity involved in making the right decisions for the entire student body and community at-large. With an open-mind, I will continue to work hard to analyze the facts on all sides of an argument in order to see through emotion and make the best choices for everyone. I have lived in Longmeadow for most of my life. I attended three of our schools, was a varsity athlete, and worked for our Parks and Recreation Department. I have a passion for our community and a strong devotion to the Longmeadow Public Schools. Perhaps more importantly, I am a former educator with a Masters in Elementary Education, and a B.A. in Elementary Education and Economics. As an educator, I creatively integrated mandates similar to The Common Core and PAARC testing, WITHOUT compromising the integrity of my curriculum and the needs of the students within my individual classroom. It was a priority for me to achieve excellence and growth from every student, at every level in my classroom. I will continue to use this background, my observations as a mother, and my recent experience on the School Committee to help ensure this for all students, teachers and parents in the Longmeadow Public Schools. I see my role as a School Committee member to be similar to that of a mother – the students are my children, the district is my family. Every decision I make, I look to protect the best interests of the children and families of this community. So please spread the word...join me on June 9th...vote for the excellence and change that every child deserves. Our town deserves the best, our families deserve the best, and our children deserve the best. 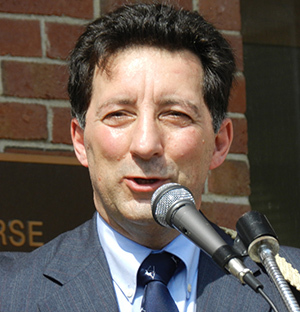 The National Association of Social Workers Massachusetts chapter announced on Thursday that they will be supporting Tom Lachiusa in his bid to become a Selectman in Longmeadow. Voters in Longmeadow will go to the polls June 9th for their annual town election. 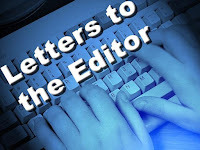 This Letter to the Editor was submitted to the LongmeadowBuzz blog for publication. On June 9th Longmeadow will be deciding on which two people will be on the Select Board for the next three years. This is a very important election. This is a crucial year with our town manager’s contract coming up for renewal, the hiring of three new department heads and preparation for the casino project. 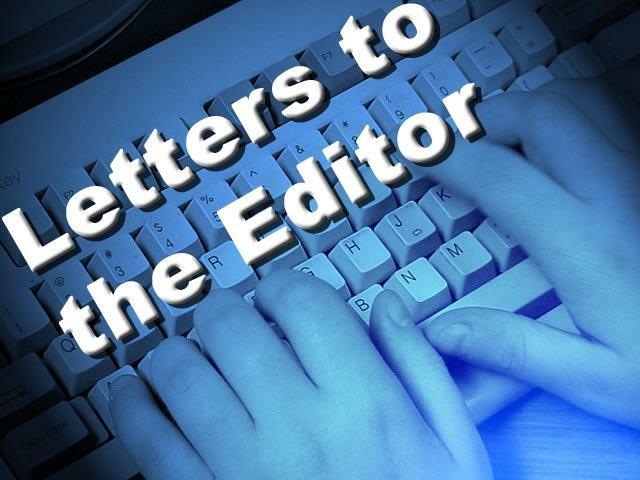 We need a Select Board who will thoughtfully plan for this year and the future of our town. We cannot continue with business as usual. We can no longer afford a board that fights with each other, the town manager, and employees. We can no longer afford Select Board members that vote “yes”, “no”, and “abstain” on the same issue. We need effective leadership. I am endorsing Tom Lachiusa and Richard Foster. They have the skills and experience we need. We need the best and the brightest for these upcoming challenges. The Longmeadow Republican Town Committee continued the candidate forums with the School Committee Candidates, Michelle Grodsky, Russ Dupere, and Katie Girard. Michelle and Katie are current members of the School Committee and this will be Russ’ first time on the School committee. Each of the candidates gave a short presentation and answered questions about budgeting, curriculum, and the future of the schools. Russ Dupere discussed his experience as an educational attorney. He has worked with schools and school committees across the Commonwealth. He believes his experience will be valuable to the School Committee because though we are one of the top rated school districts now it is easy to slip into providing a lower standard of education. He will help keep the schools on course. Russ also described his experience with teachers’ unions would be valuable to future negotiations and communications with the teachers. If elected he stated he would work closely with the Select Board and other committees to develop long range fiscal plans. Katie Girard is running on her experience on the School Committee and the fact that she is the only member of the School Committee who is actively teaching. Katie’s specialty is special education. 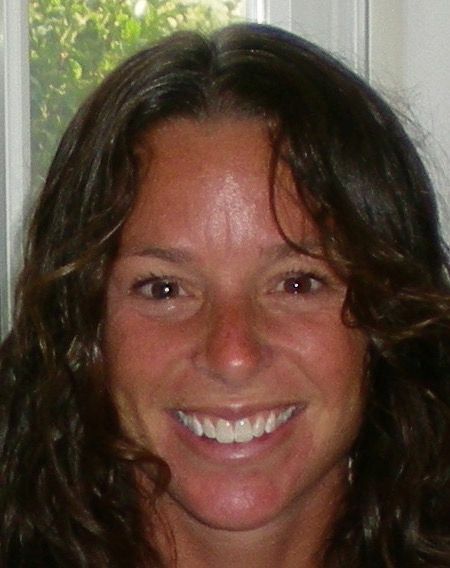 She believes that Longmeadow’s special education program is a key component on what makes Longmeadow schools great schools. She would like to work in creating more collaboration between the schools and the community by creating more opportunities for partnerships. Katie stated; “I want to continue to ensure all students receive exceptional educations, regardless of what challenges they bring to the classroom." The candidate forums ended with lively discussions on educational issues in our country and in our town. All the candidates stayed after the meeting to answer questions. The Longmeadow Republican Town Committee meets every second Wednesday of the month in Greenwood Center. If you are interested in coming or more information contact Tass Angelides, tass1949@gmail.com.